Engineers know that sometimes design challenges can be easy to find, fix and will remain fixed. Others are downright scary. Like ghosts on Halloween night, many design related issues fade in and out and feel impossible to detect using common lab techniques. Intermittent failures and “almost worked” hardware are what nightmares are made of. When possessed by these ghoulish design flaws, engineers must often accept the risk, and ship the design knowing what actually returns may be a monster of a problem. Engineers can take the easier path and face these monsters before the system starts shipping. 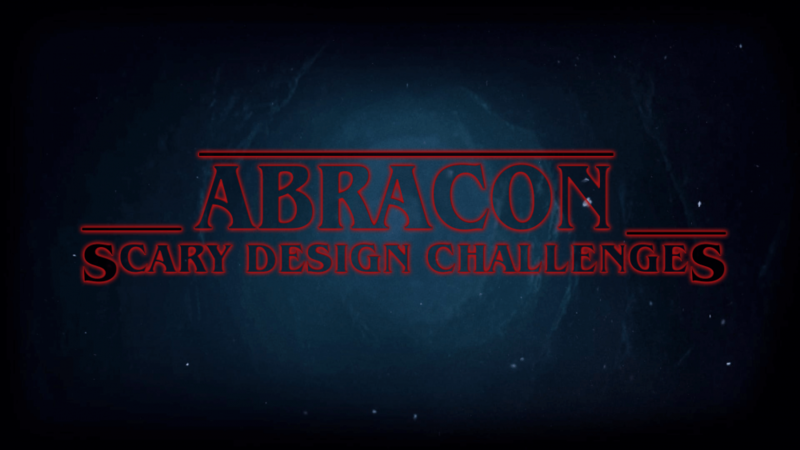 Below are two of the scariest design challenges remaining in the analog world and what you can do to get rid of them. Is it really black magic? Antenna optimization. Although engineers are very methodical and deliberate about design and validation, often times equipment and time limitations prevent engineers from validating every sub-system to the fullest. Nothing is scarier than the RF communications link. Thanks to the costly high frequency test equipment running a complete in-system validation may not be an option. Despite what you may think, making an RF link operate with optimal efficiency is not black magic. While it is true that every chip antenna requires matching using a matching network, and every patch antenna requires matching by carefully adjusting its conductor dimensions, highly experienced RF engineers are up to the task. Scarier than embarking on a hunt for werewolves during a full moon, shipping a system with sub-optimal performance hurts range, blows up power consumption, kills sensitivity and overall leaves your customers with intermittent connectivity performance and reduced battery life. Matching gain and center frequency are extremely important because the antenna can become the choke point of the system. Instead, a well-tuned patch antenna and well-matched chip antenna can liberate your design and become the lifeline of boosted functionality and connectivity that your customer desires. Whether it be Bluetooth connecting to your customer’s app, WiFi enhancing broadband for video delivery or a narrow band IoT solution for a direct-to-cloud approach using LoRa, NB-IoT or Sigfox, optimizing the antenna will provide enhanced operation for your customers. If you think you have a ghostly issue in your design that you cannot tackle on your own who are you going to call? There are contractors and consultants that will get involved and help. Ghostbusting this issue requires a full in-system test of the antenna operating as intended. Assessing the gain and center frequency of the antenna in-system is key. With patch antennas, small amounts of conductors are trimmed until the system hits optimum operation. With chip antennas, the tuning network can be modified. Using these techniques generally requires expertise and a full RF lab. Although consultants can help, in reality the antenna manufacturer is in the best position to support this testing. For this reason, Abracon offers antenna optimization services for all its chip and patch antenna products, ensuring you don’t go to market with a Frankenstein monster of a product. A werewolf of a problem. Pierce oscillator concerns for the IoT. The scariest thing about werewolves—you never know who may be one. Ordinary men become werewolves only when conditions are right. Usually, the wolf comes out, does all the damage and when the full moon changes, it disappears. Most electronic issues operate like this. The trick is recognizing the trigger. What makes the wolf come out? The Pierce oscillator that drives most of the world’s billions of deployed quartz crystals is no different. Although simple in construction, like a man-wolf dichotomy, the real world behavior of a Pierce oscillator loop can be very complex. That’s where the scary part comes in. In order to operate effectively, set a constant highly stable clock of the correct frequency, the quartz crystal must be well-matched to the Pierce oscillator in the MCU or RF chipset. The dynamics that make these timing workhorses run have been taken for granted throughout the history of electronics. There is a very good reason for this. In the past, the dominant factors governing the operating point of the Pierce oscillator loop were governed by macro-values of the crystal plating load capacitance along with the loop compensating capacitors and the Pierce oscillator input port capacitance and transconductance gain. The IoT, more importantly, energy saving designs used for the latest generation of MCU and RF chipsets, has changed everything. Lower power budgets have directly lowered the transconductance gain allowed in the design. The effect is a weakened drive that needs light load IoT optimized quartz designs. Pushing the limit of crystal construction, the load plating of these new crystals is on the same order of magnitude as the parasitic capacitance of traces, pins and input capacitance of the Pierce oscillator circuit. Only these lightly loaded new crystal designs optimized to maintain low equivalent series resistance (ESR) will maintain oscillation under all conditions. A benefit of this trend is that loop capacitors may be removed from the design. The scary part—lower CL and ESR makes the Pierce oscillator loop much more sensitive environmental and PCB changes. This is where the wolf comes in. What is the silver bullet that will tame this wolf? Only a full in-system validation can help. Attempting to measure the operating point of the Pierce oscillator loop while accounting for trace, pin and other stray capacitances is not trivial. Requiring specially designed equipment, a board level test can assess the operating point of the crystal and aid in making recommendations that optimize the oscillator’s center frequency, gain margin, drive levels and long term reliability. As the Heartbeat of the IoT®, Abracon has developed proprietary test equipment offering the Pierces Analyzer Service (PAS) designed specifically to tackle this challenge for customers. Providing an in-depth report and recommendations for crystal parameters, this in-circuit validation service ensures that the wolf won’t come out as the moon changes phase. As every five-year-old quickly learns, there are no scary monsters just fear and uncertainty. Engineers today faced with new RF connectivity and timing challenges must accept new tools and services in order to get to market. It’s not acceptable to launch products into the market that are not well validated and that may fail. Modern validation techniques are one answer to increasing challenges. On this Halloween, we should all consider what would have happened if Dr. Frankenstein had available system validation for his creation.